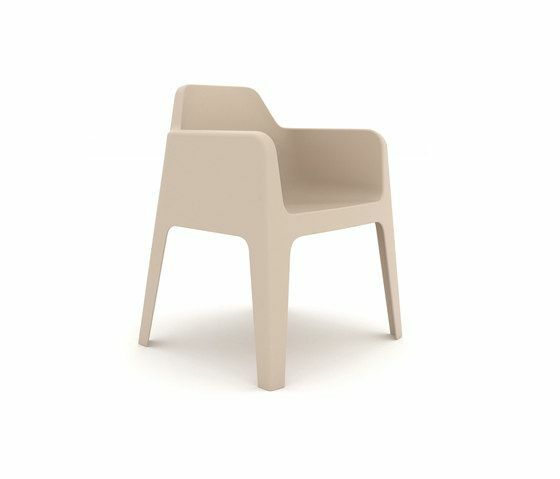 Chair + Chair = + Plus... a result of an arithmetical operation, a research focused to combine design and functionality. Simplicity and versatility, typical features of a common plastic chair, are mixed with the exclusivity and elegance of the classical living room armchair; a new dialogue between personality and versatility. Two completely different concept merged in one product where the perfect balance among handiness, formal identity and accessibility is represented by the symbol +.